This 20 credit degree-level module will enable you to achieve foundation level competencies in assessing client difficulties and implementing Cognitive Behavioural Therapy (CBT) interventions for individuals experiencing a range of common mental health problems. CBT is a talking therapy, with strong evidence based for addressing a wide range of metal health disorders. You will gain the basic knowledge and practical skills necessary to practice CBT, under supervision, and achieve a working understanding of the contemporary theories, research and principles that underpin CBT treatments. The interventions taught are suitable for use in many clinical settings, to be used by professionals that employ a psychotherapeutic content to their work and are also clinically proven to be beneficial to large numbers of people. You will also develop an understanding of the contemporary theories, research and principles that underpin cognitive behavioural therapy. Building on theory of the Introduction to CBT, this module will allow you to develop skills in this very sought after therapy and, combined with client hours accrued, demonstrates to employers that you can work effectively within the frame work of CBT. It can be used to enhance the diversity and effectiveness of existing positions and is also an excellent start for those wishing to take the first steps towards a career in therapy. By the end of the course you will be able to safely apply techniques of CBT and assist clients to make positive changes in their lives by helping to lead them through a process of guided discovery that makes a positive and defined impact. This module has been designed to follow the recognised framework of common therapeutic and CBT specific competencies (Roth and Pilling, 2008). The module teaching is geared towards developing your effective therapeutic practice and to complement your workplace clinical supervision. This module is delivered by Devon Partnership NHS Trust in partnership with University of Plymouth. demonstrate a critical understanding of trans-diagnostic processes and cognitive – behavioural theories and principles required when working with clients with common mental health problems. systematically utilise cognitive behavioural assessment strategies to construct coherent clinical formulations that describe and understand client mental health difficulties. 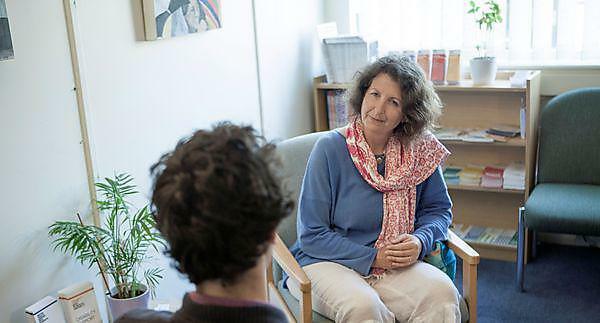 critically utilise underpinning psychotherapeutic principles to guide and inform clinical decision-making and appropriate cognitive behavioural interventions for addressing common mental health difficulties clients’ experience. 1. completion of a practice portfolio. 2. a written case study. The dates for the next delivery are 9, 10 and 16 January, 6 February, 6 March, 3 April, 8 May and 5 June 2019. Occasionally delivery dates might be subject to change, always check with the module lead or Professional Development Unit. This module can be studied as a standalone module or or as an optional module towards our new BSc (Hons) Professional Development in Health and Social Care course and a number of associated pathways - please contact the Professional Development Unit for further information. have previously completed the Introduction to CBT course, or demonstrate equivalent understanding. If you are self funding, please contact the relevant trust who will be able to confirm the fee for the module. Trust contact details are outlined below in the ‘further information’ section. The module lead is Shane Fitzgerald.